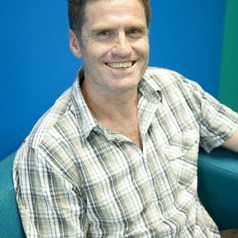 David Booth is Professor of Marine Ecology at UTS, and past President of the Australian Coral Reef Society as well as member of the Ocean Science Council of Australia He has published over 120 papers in reef-fish ecology, climate change and other anthropogenic impacts on fishes and fisheries, in the Caribbean, Hawaii, Great Barrier Reef, and studies how tropical fish travel down the East Australian Current past Sydney. He researches fishes in estuaries around Sydney, the ecology and behaviour of threatened fishes such as seadragons, black cod and white sharks and the ecology of the deep sea. He is also a strong advocate of sustainable fisheries and marine parks.